Duck is an ideal source of proteins and is rich in polyunsaturated fatty acids which reduce blood cholesterol levels. It's a fantastic source of niacin (vitamin B3), which plays an important role in metabolic processes within the body and also helps to lower blood cholesterol levels. Duck contains vitamins A and C as well as important minerals such as iron, calcium, and selenium, while pheasant is an excellent source of vitamin B12, phosphor, and selenium. 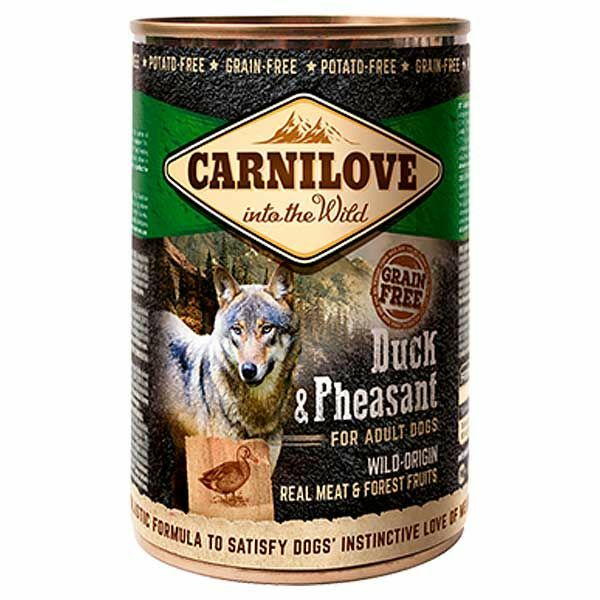 The combination of duck and pheasant creates a dietetically balanced and nutritious food containing all the essential amino acids. Ingredients: duck (41%); pheasant (26%); blueberries (2%); cranberries (2%); raspberries (2%); minerals (1%); salmon oil (0.1%).